We’re just over a week away from the start of the Renegade Cup, a four-month circuit-style event that brings the best of the Rocket League Esports community under a single competitive banner. Rocket Baguette’s Grand Prix (Europe) and Rival Esports’ Project Phoenix (North America) will kick off the tour as your October tournament organizers, with the November monthlies to be announced in the coming weeks. For more information on the Renegade Cup, check out our FAQ section below! Who is eligible to play in The Renegade Cup? The European Renegade Cup is open to Rocket League players in Europe*, and the North American Renegade Cup is open to Rocket League players in North America**. All players must be at least 15 years old at the start of the monthly tournament in which they first compete. *Europe includes: Andorra, Albania, Armenia, Austria, Azerbaijan, Belgium, Bosnia and Herzegovina, Bulgaria, Croatia, Czech Republic, Denmark, Estonia, Finland, France, Georgia, Germany, Greece, Hungary, Iceland, Republic of Ireland, Italy, Latvia, Liechtenstein, Lithuania, Luxembourg, Macedonia, Malta, Moldova, Monaco, Montenegro, Netherlands, Norway, Poland, Portugal, Romania, Russia (except individuals located in Crimea), San Marino, Serbia, Slovakia, Slovenia, Spain, Sweden, Switzerland, Turkey, Ukraine (except individuals located in Crimea), United Kingdom of Great Britain and Northern Ireland. **North America includes: Bahamas, Canada, Costa Rica, Dominica, Dominican Republic, El Salvador, Guatemala, Honduras, Jamaica, Mexico, Nicaragua, Panama, and United States (including Puerto Rico, and the US Virgin Islands). Which Platforms can participate in The Renegade Cup? Where is the Renegade Cup taking place? There will be a European Renegade Cup and a separate North American Renegade Cup. 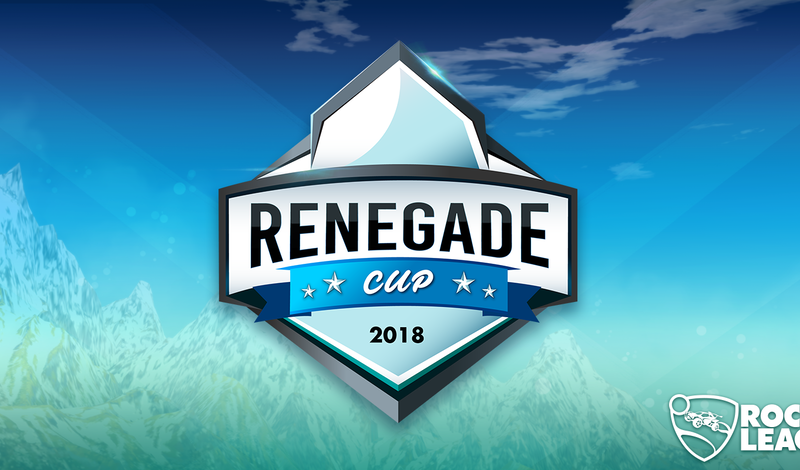 Each region will have its own Renegade Cup Finals. All monthly tournaments matches and Renegade Cup Finals matches will be held online. How do I play in the Renegade Cup? Create an account on Smash.gg and sign up for the Renegade Cup monthly tournaments! All monthly tournaments will be held on Smash.gg. 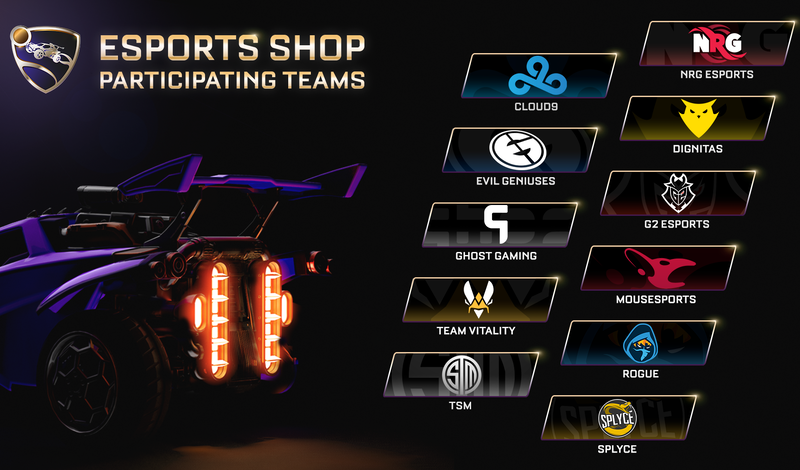 Can RLCS teams compete in the Renegade Cup? No. Players who are participating in Season 6 of the Rocket League Championship Series are not eligible to compete in the Renegade Cup. Can Rival Series teams play? Yes. Players competing in the Rival Series may compete in the Renegade Cup. How does my team qualify for the Renegade Cup Finals? There are two separate ways to qualify for the Renegade Cup Finals. (1) Teams that finish in 1st Place at the end of one of the Renegade Cup monthly tournaments automatically qualify for the Renegade Cup Finals. This will account for four  total winners in each region. (2) The remaining eight  spots will go to the eight  teams that have accumulated the most Renegade Cup points over the course of the four monthly tournaments. Note: Psyonix Inc. is not responsible for the administration, fulfillment, or execution of the Renegade Cup monthly Tournament. 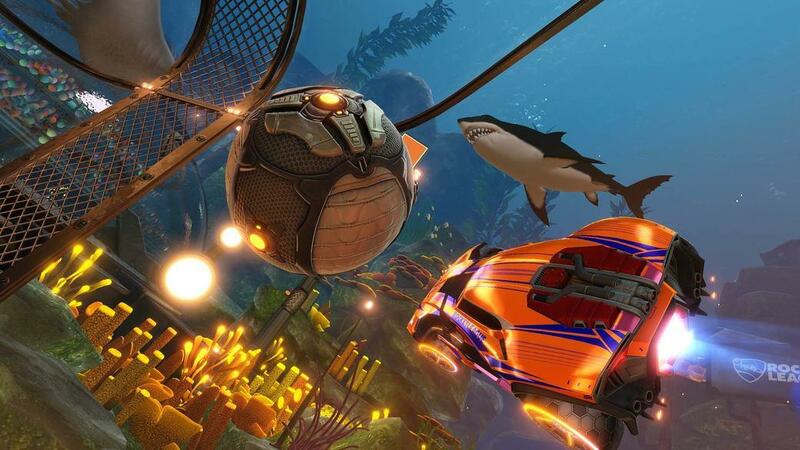 Tournament results and allocation of points from the Tournament results into the Renegade Cup points qualification system are subject to the review and approval of Psyonix, at its sole and absolute discretion. If I win a Renegade Cup monthly can I continue to compete in other monthlies? Teams and players who win a monthly tournament, and as a result automatically qualify for the Renegade Cup Finals, are not eligible to play in subsequent monthly tournaments. Cup Points are distributed based on your team’s finishing place in each monthly tournament. Your team will receive points based on the distribution breakdown shown below. The winning team will earn zero points because it auto-qualifies for the Renegade Cup Finals. If there are ties in any of the finishing standings, the points for those places will be divided evenly among tieing teams. What are the rules around rosters? Competing teams can be between 3-5 players. Teams cannot make any changes to their initial roster for the duration of the Renegade Cup. Once you register a team to play in a monthly Renegade Cup Tournament, that team’s roster is locked until the end of the finals. Renegade Cup points and Renegade Cup Finals qualification will be allocated to the team, and not individual players. What if I want to change to a different team? If you play in a monthly tournament and don't get the results you were hoping for (or maybe you just don't jive with your first squad), then you can sign-up for the next monthly with a different team. It is important to remember that Cup Points are cumulative and if you earn points with your original squad and then leave, those points are still tied to your original roster; meaning your new team will need to start from scratch. That rule is why we recommend that you try to keep your roster consistent throughout the duration of the Renegade Cup. Where can I watch The Renegade Cup? Renegade Cup monthly tournaments will be broadcast on Wednesdays and Thursdays on the Twitch channel associated with the tournament organizer. Organizers may stream elements of their tournament outside these specified days as well. Be sure to follow @RLEsports on Twitter for more broadcast updates! October’s EU monthly, The Grand Prix, starts on Wednesday, October 3 at 7:00 PM CEST (5:00 PM UTC) on Rocket Baguette’s Twitch channel in French and will be streamed by Rewind Gaming in English at the same time. Rival’s NA monthly, Project Phoenix, kicks off the same day, Wednesday, October 3, at 4:00 PM PDT (11 PM UTC) on their Twitch channel. What is the format of the Renegade Cup Finals? The Renegade Cup Finals will be a three-day, 12-team, double-elimination-style bracket. All matches will be Best of 3, with the exception of the Winners/ Losers Finals which will be Best of 5, and the Grand Finals which will be Best of 7. While each of the monthly tournaments are falling under the Renegade Cup banner, each monthly tournament is being independently run -- so, before signing up to play, be sure to check out the rules published by the host on their official tournament page. We’ll be releasing our own rules as they pertain to the Renegade Cup Finals as we get closer to the conclusion of the monthly tournament circuit. 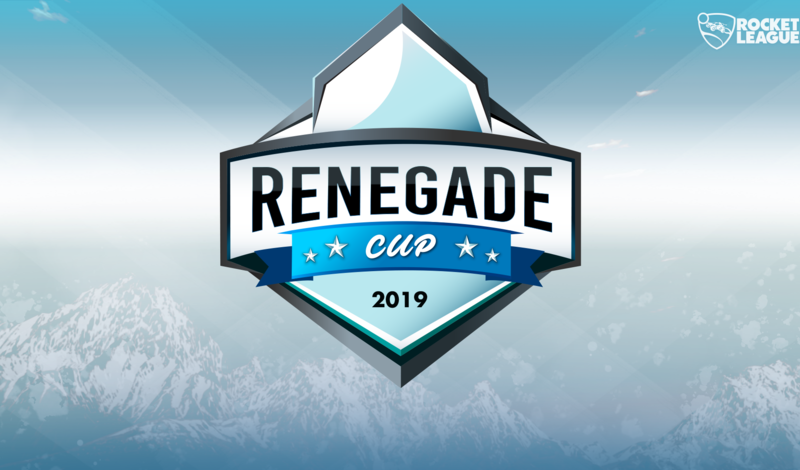 If you have any further questions about the Renegade Cup, feel free to send an email to: RenegadeCup@psyonix.com.